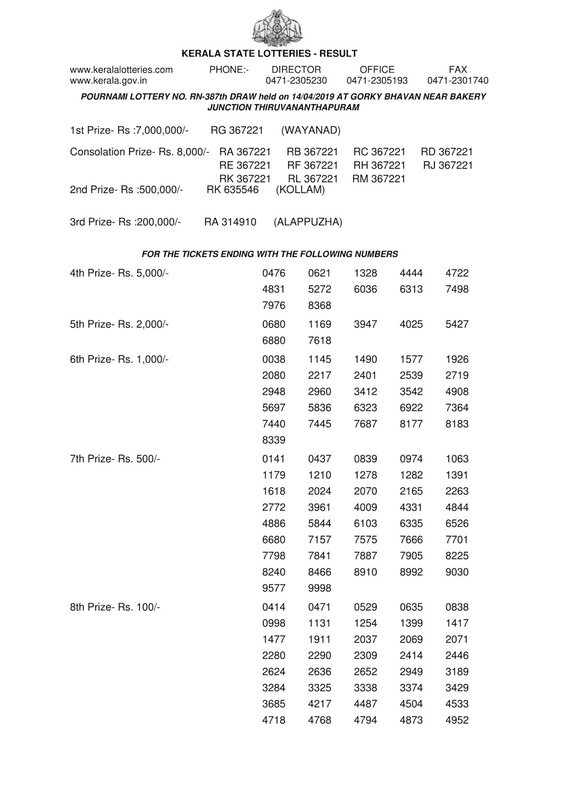 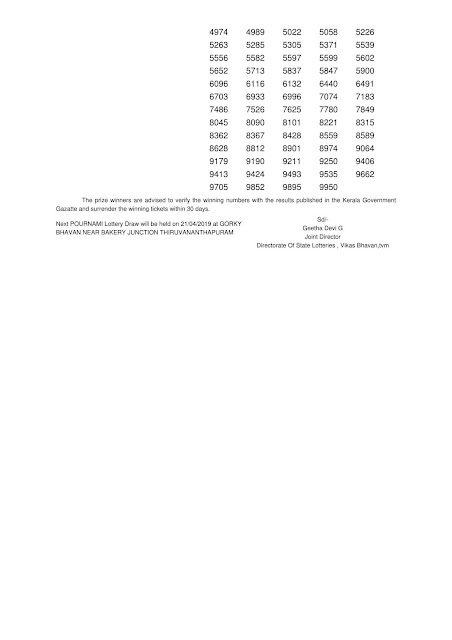 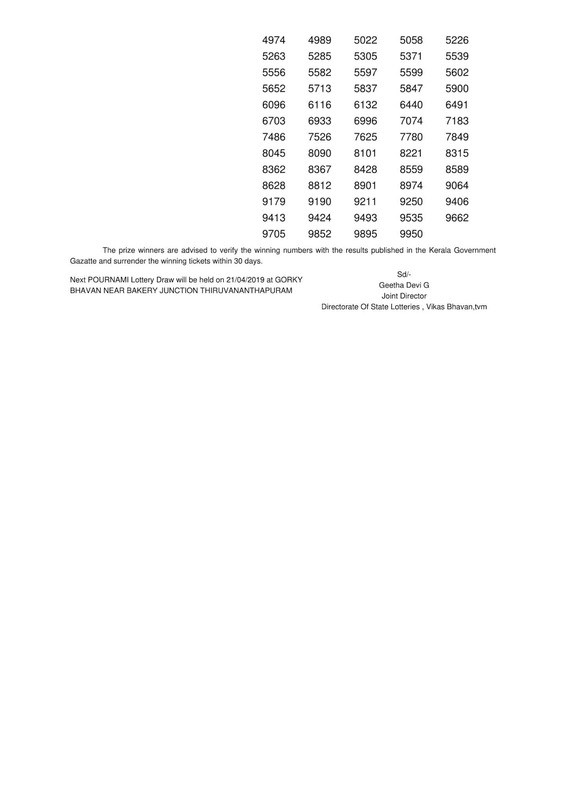 Kerala lottery result on 14/04/2019 of Pournami (RN-387) lottery published below. 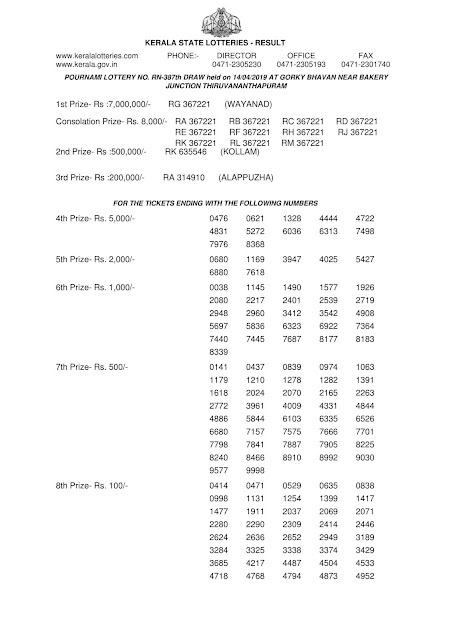 Win Win (W-508) lottery draw will be held on tomorrow (15-04-2019) Monday at 3 PM and the result will be published by 4:00 PM. 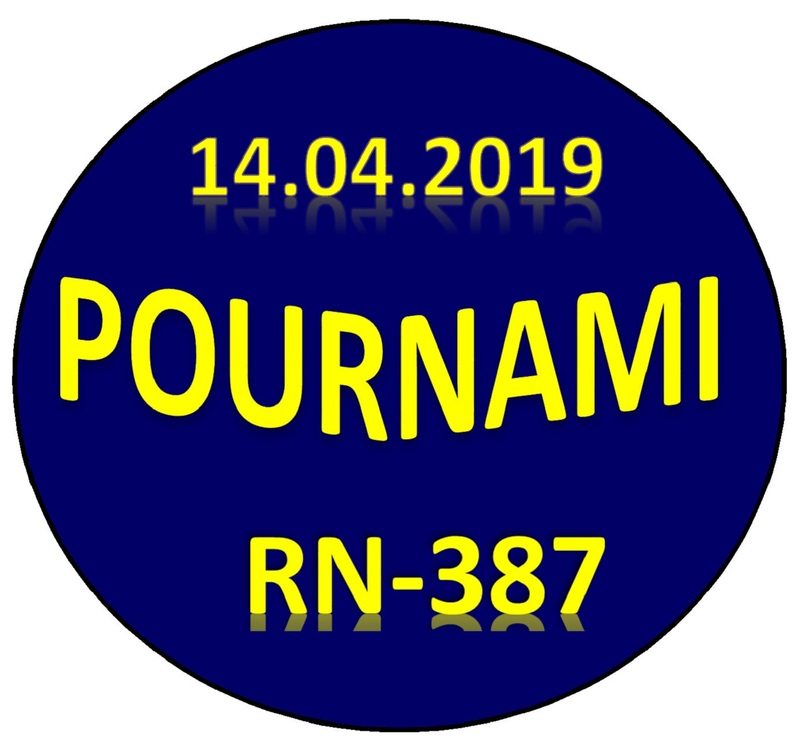 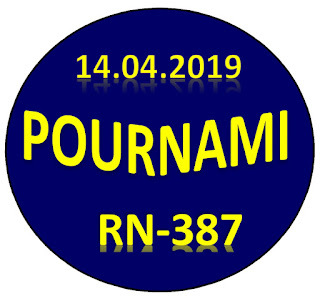 Next Pournami (RN-388) lottery draw will be held on 21/04/2019; Sunday at 3:00 PM.